I have tried a ton of meal delivery services, but Plated was my first meal kit delivery service to try and review. 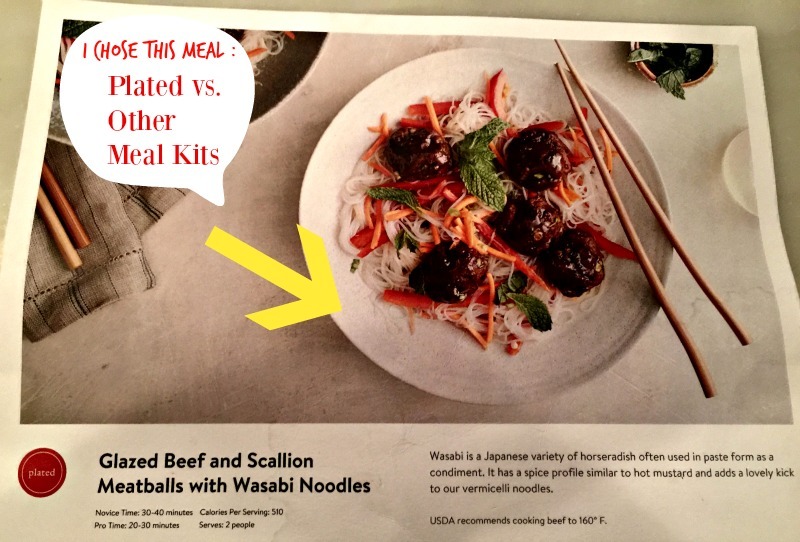 Prior to choosing the meal kit offered by Plated, I also researched Blue Apron and Hello Fresh. I will outline the reasons that I chose Plated first later, and the reasons I was wrong for doing so. Let me first explain the difference in a meal kit and a meal delivery service. Many of you may remember reading our review of Bistro Md. vs. 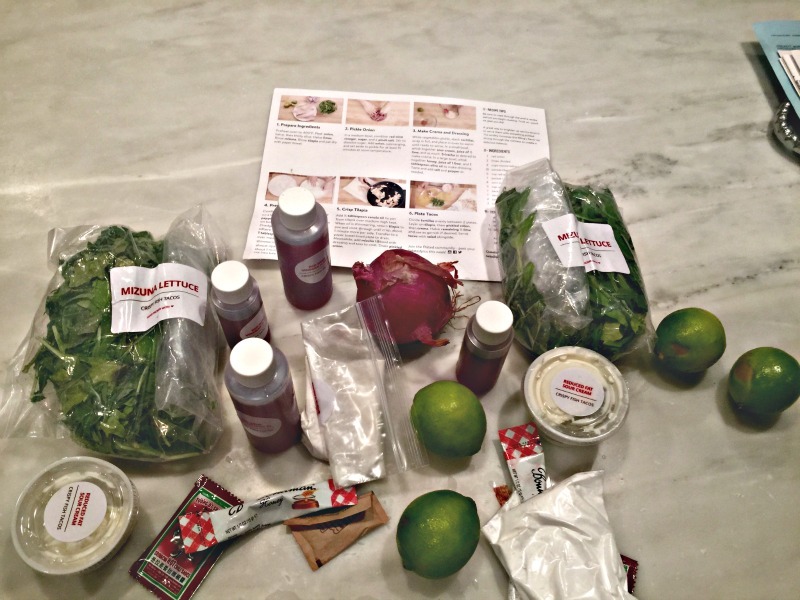 The Fresh Diet, which is a diet meal delivery service. I was trying to lose a few extra lbs, and Bistro Md definitely helped by sending me 3 prepared meals a day. Bistro MD took the thought out of the process, and helped me drop the pounds I wanted to lose. Plated and Hello Fresh are a very different type of service in that it delivers a you a box of groceries to prepare a pre-planned healthy meal. Meal kit services are meant to be for dinner, which leaves two other meals up to you. Its not a total weight loss solution, but it certainly helps. 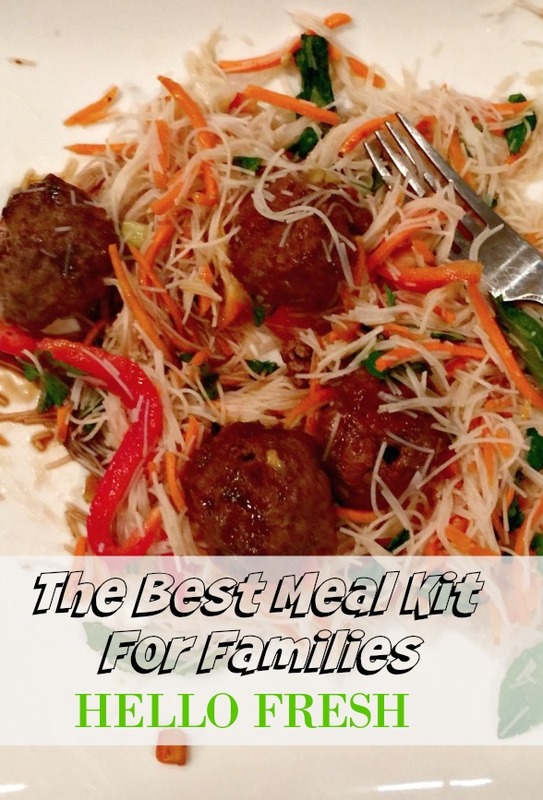 As a mother of three kids, I found that diet meal delivery services would have been a lot more convenient if I was the only one in the house that needed to be fed! Even though my meal was prepared and delivered, I still had to feed 3 children and my husband. I stumbled upon the Plated website while looking for other meal delivery options, and I was immediately intrigued by the concept of a biweekly grocery delivery for pre-planned healthy meals. Thus, I gave Plated a try by signing up for the service. This is what I discovered about Plated and then later Hello Fresh. 1- Plated and Hello Fresh are among the few meal kit subscription services that allows you to pick your meals and menu. For example, Blue Apron does not allow you to pick your meals for the week. I immediately ruled out Blue Apron for this reason alone. 2- Plated provides 100% fresh produce and locally sourced meats that are raised without antibiotics. I read somewhere that Hello FRESH is one of the meal kit services that includes canned goods in some of its meals, and I wanted 100% fresh food to cook at home. Thus, I originally chose Plated over Hello Fresh. Update: I have since tried Hello Fresh and all of the produce is 100% FRESH!! However, fresh produce means you will be doing a lot of chopping and dicing. Thus, I highly recommend investing in a food processor to make your life easier. Plated actually chopped my carrots once, but don’t count on that happening often. You will be chopping and dicing like you never have before! Honestly, this is one of the best and simplest cooking lessons that I have learned from Plated and Hello Fresh. Chopping and dicing anything that comes straight from the ground means that your meal will taste better! This I know for sure. Since all the Plated and Hello Fresh produce is fresh, you will never see a can of minced garlic. I was astonished at the difference it makes in a meal when you mince your own fresh garlic. It seems like such a simple thing, but that one simple cooking rule takes a meal from mediocre to fabulous. Ive admittedly bought into to buying anything and everything pre-chopped, pre-minced, pre-anything to make my life easier. The reality of it is, you are likely sacrificing the essential part of what makes the dish taste good! Ive learned from Plated and Hello Fresh to chop more and include less. In lieu of sacrificing “fresh” to save time, find recipes that have less ingredients. Think about that. It makes sense. 4- Plated and Hello Fresh provide the exact amount of spices and sauces needed to prepare the meal. How many times have you prepared a meal that required a rarely used ingredient, such as hoisin sauce, only to discover the 99% full bottle of hoison sauce still taking up space in your refrigerator 3 years later ? Any meal kit delivery service will save you from wasting money on buying more than you need. This I know for sure. 3- Plated has more recipes to choose from than Hello Fresh, but they all take more time to cook! Plated has 9 recipes each week, while Blue Apron has 3 recipes and Hello Fresh has 5. We tried Plated for over 6 months, and eventually quit the service due to the amount of time it took to cook the meals. As I stated earlier, we decided to give Hello Fresh another look. We vote Hello Fresh the Best Meal Kit for families simply because they are easier to cook and take less time! Speaking of the recipes, the most important factor to consider is how the meals taste! 4- Plated and Hello Fresh both taste delicious, but you have to be careful when choosing your Plated meals because a lot of them are very time consuming. I have officially cooked 128 Plated Meals with 410 ingredients, and I have the picture to prove it! 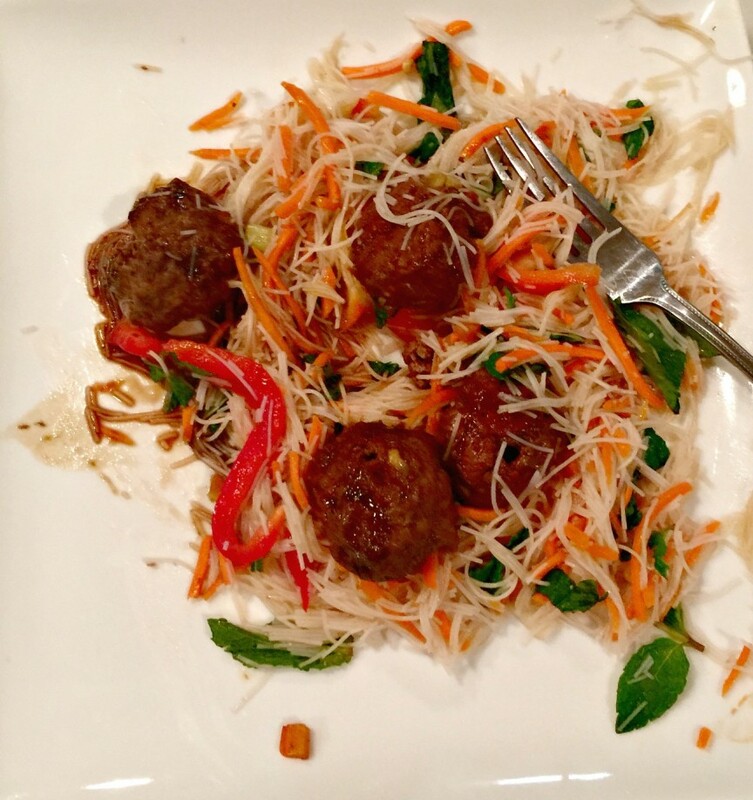 After cooking 128 Plated meals, I would say that I am qualified to review Plated’s service and meals! I have not cooked a meal from Plated that my family of 5, including 3 children, did not like. 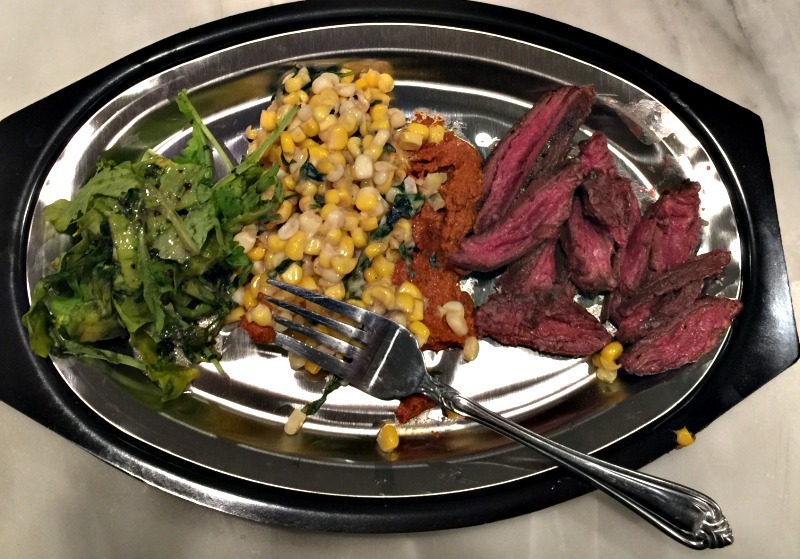 Overall, Plated has won the hearts of the Prickett family in terms of taste and quality. The kids even love Plated, hence the reason my first photo in this post shows their empty plates. There is a price that comes with a delicious, healthy and innovative meal, and its not just money. Its the one thing that every mother on this planet hold precious, and that is TIME ! When I first started to order my Plated meal kits for the week, I never paid attention to the prep time or level of difficulty displayed for each menu item. 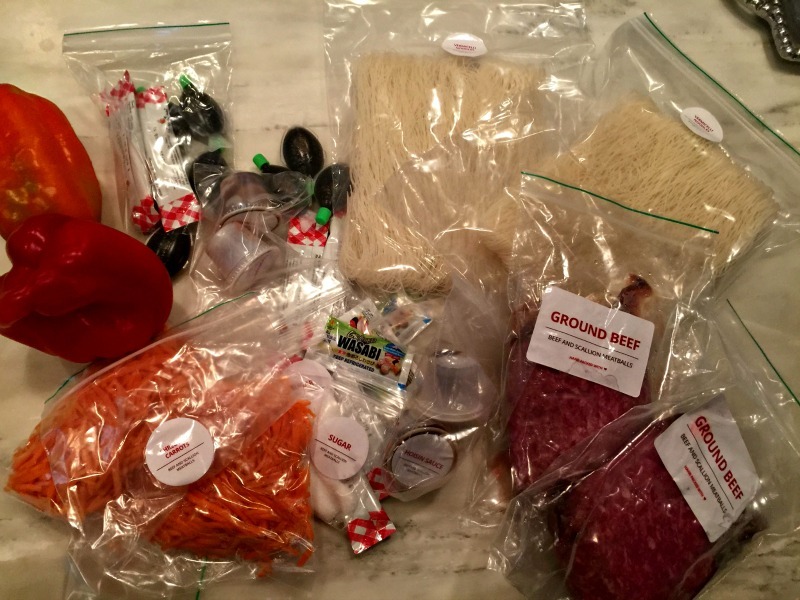 One week I ended up with three meals labeled “Difficult.” Let me make this one simple for you. If Plated says its difficult, believe them! I no longer order anything that is labeled difficult unless I am planning to have company over or I want to have a really special meal. In fact, I try to only order meals labeled “Easy” for weekdays. Also, I pay attention to the calories for each meal as I am perpetually on a diet. Here are a few snaps of our Plated meals, and the taste was even better than the presentation ! 5-Hello Fresh is the cheaper than Plated. Plated costs $12 per plate, while Blue Apron costs $9.99 a plate and Hello Fresh costs $10.75 a plate. Since Hello Fresh is cheaper and has less time consuming meal preparation, Hello Fresh wins for the Best Meal Kit Delivery Service for families. However, I still like Plated and think it has a place in the meal kit delivery market. I just think its better suited for people without children.